Somewhere in the background, by the piano in the living room, Lennie Hayton sat with coffee in hand, filling the air with that pregnant, Van Dyked Lennie Hayton brand of dignified silence. In the smaller music room Lena, quiet and conservative in the black-and-white outfit with the white turban hat, toyed with her coffee and talked, never too quietly nor too conservatively, of music and children and acting and singing and how life had been for her in this past propitious year. 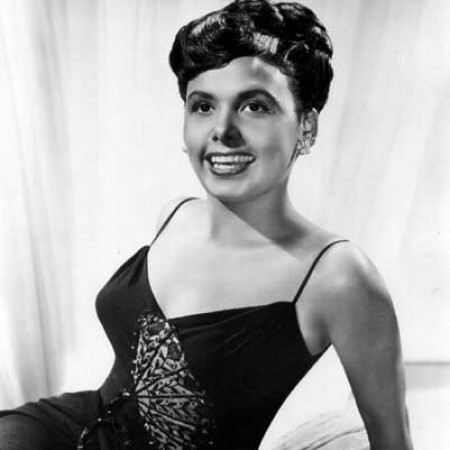 Lena Horne and New York are in love. For the first time in her adult life she has come close to complete emotional security here. “I never really felt I had roots in California, in all those years out there,” she says now. “If I couldn’t live in New York, my only other choice would be Paris; I felt at home the moment I set foot on French soil. What the Haytons have is a 10-room apartment, 13 floors up on West End Avenue in the Seventies. “Come up front and see a piece of the river,” said Lena, and there it was—her beloved Hudson, just a block beyond Hayton Corner. As she prepared to go downtown for a shopping tour, to find presents for the entire cast of the show, Lena talked of the past six months’ tensions: “I was terribly afraid of the acting. The last time I acted in anything was the movie Cabin in the Sky, 14 years ago. But the director for Jamaica, Bobby Lewis, told me that the same kind of concentration I use with an audience in the cabaret should be inverted in to the person or people I’m speaking with onstage, and that would come over to the audience, he said. A sort of backward process involving a whole new technique; but after a while I realized it was working. “It took me weeks to get over the shock of hearing myself speak lines. When I’m singing, the music is there to carry me along, but when I speak there’s no tune to what I’m saying, and I miss it!” She laughed joyously. “Everybody was wondering whether I’d just be Lena in the show, but now some people whose opinions I respect think that I’m not; that I’m really getting to be this crazy dame I play in the show. I’m beginning to feel like her onstage, too. “Another big difference is that in a musical, the people listen to the music only as a sort of coloring to the scene, whereas in cabaret work your singing is the essence of what you are offering the audience. Had she been able to keep up with the newer things on the music scene? “I’m embarrassed to say I haven’t really listened to records, or read a book or even seen a movie, in months. Things assumed such proportions of difficultly that I saw problems that weren’t really there, while we were rehearsing. Of course, when I come home at night, Daddy will put on Basie or Duke or something that I know already, something I don’t have to listen to with anything but, you know, the body. But of course, Daddy lives at Sam Goody’s—and so does Teddy when he’s in town.